We support customers in over 100 countries around the world. 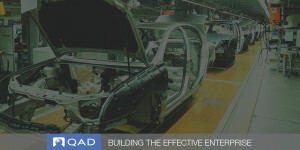 At the heart of QAD is a strong and loyal customer community. To create the best full-featured software for our customers we need to work together. We pride ourselves on our commitment to evolve with our customers as the manufacturing industry changes. We believe in our customers and what they can accomplish with our support.